I first heard about the book “Raving Fans,” by Ken Blanchard, while listening to a Startup Grind Kalamazoo interview with Chris Lampen-Crowell. Chris talked about it as required reading for the “world class training” he runs at Gazelle Sports. That sounded like a great reason to read it and, if the book club meetups were continuing, it would’ve been the next choice. 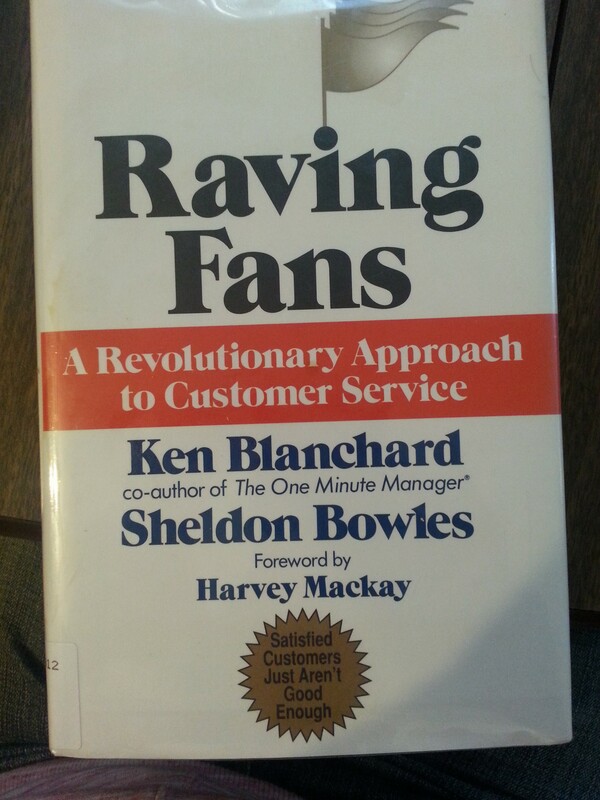 “Raving Fans” is different than many business related books since it is written in a parable style. Personally, although an easy read, I’m not sure I liked that style. The parable revolves around an Area Manager and his Fairy Godmother, Charlie (yes, a male), and the journey to teach the Area Manager what it means to excel at customer service. The point is that satisfied customers are not loyal. If the customers rave about the service, than that is a different story. The journey includes traveling, sometimes quite far, in order for the Area Manager to experience the concept and even become one of the raving fans. Three secrets are revealed, one at a time, until the Area Manager graduates and then is able to be a part of the journey for others. The book definitely does a good job at creating the points and the support for them. What I wondered, as I was reading it, was why the concept of “Raving Fans” isn’t a “duh” factor. Why is the world ok with just being satisfied and having that as the expectation? My question to Chris would be “Do the employees have to buy into the concept, or is it a matter of how to provide the “world class customer service” at your company? Thanks for reading (and commenting/liking)!